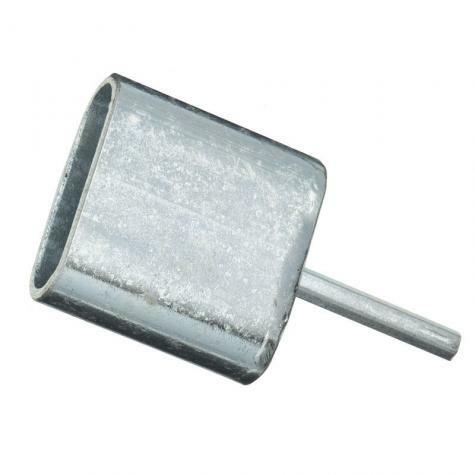 Use with our TuffRing II Insulator. Place power driver over the TuffRing II Insulator so the ring of insulator fits into cup of driver. Insert screw tip of insulator into the predrilled hole. A must have when using the tough grip insulators. It makes installing them a breeze. We put a mark on one of the ends of the power driver and always put the top part of the tough grip insulator in the driver where the mark is. That way after you get it screwed in all the way, you know where the top is, so you know where to stop. It would be a bit easier to use if it had a little tighter fit for the tough grip insulator to fit inside, but you learn and adjust and all is well. We work outside as a family with our 7 young children and they like to take turns and help install them. Thank you premier for your great products! 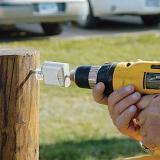 product works, but my portable drill could not screw the TuffRings into a post even with a pilot hole. I needed a more powerful drill.